You've heard of a triathlon, well there's a new competitive sport making waves. It's called "SwimRun" and eliminates the biking portion of the race. 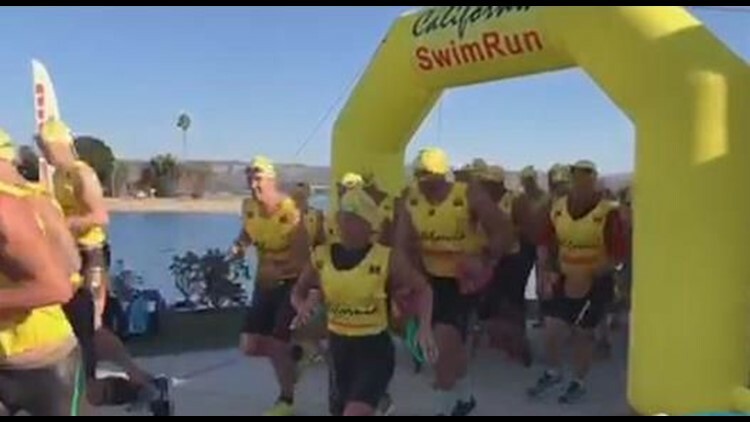 SAN DIEGO (NEWS 8) - You've heard of a triathlon, well there's a new competitive sport making waves. It's called "SwimRun" and eliminates the biking portion of the race. This style is very popular in Europe and now it's making waves in the U.S., particularly California. News 8's Ashley Jacobs reports from Mission Bay where athletes say going back and forth between running and swimming is better for the body. For more information about the SwimRun in the USA, Click Here.